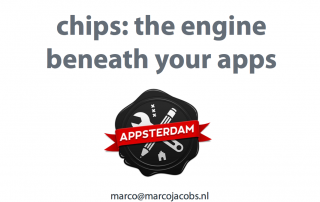 Today during lunch, I gave a talk at Appsterdam where I spoke about what’s inside your phone. We start with an overview of the semiconductor industry, and take a deeper look at what makes your phone do all the things it can do: the chips inside. I made the slides available through slideshare, and Erik Romijn did a quick writeup which you can find on his website. The other day it was my youngest child’s 5th birthday. I was very happy that his big wish was to get a lot of Lego. I have fond memories of building stuff out of these little bricks, and I believe it stimulates creativity and problem solving. 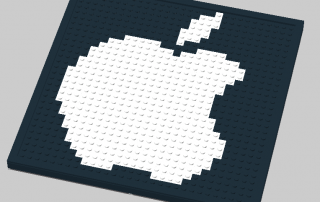 So we spent a few hours putting the models together, which is when it struck me how similar Lego is to Apple. Here are five traits that stood out to me. Lego’s motto is “det bedste er ikke for godt” which means roughly “only the best is the best,” or more literally “the best is never too good.” Ole Kirk Christiansen, Lego’s founder, encouraged his employees never to skimp on quality, a value he believed in strongly. Steve Jobs said, “Be a yardstick of quality. Some people aren’t used to an environment where excellence is expected.” Just like Lego, Apple is known for its high-quality products, especially from a design and mechanical perspective. The unpacking is important. Do you know any other toy makers that clearly number their bags in the order you need to put the model together? 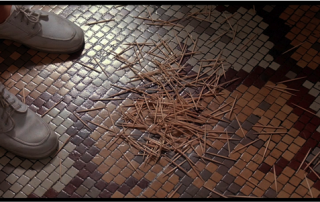 In addition, the plastic bags that contain the bricks can easily be ripped and have a high-quality feel to them. The booklets are extremely clear in their instructions and the drawings couldn’t be better. Before Apple, retail packaging of consumer electronics was often a simple cardboard box simply there to protect the device, and sometimes had a sheet of clear plastic so that you could see the product inside. I’m sure you’ve all unboxed an Apple device before; the way they pack and wrap things raised the bar for everyone in consumer electronics. The Apple stores are basically Apple’s theme parks. The interior design is amazing, the layouts are excellent, and the stores aren’t cluttered by displaying too many products. And although Apple is trying to sell its products, it’s just fine with customers coming in to look around and play. In contrast to other retail stores, Apple doesn’t have to be afraid you’ll go home and order online at a lower price. Lego has seven theme parks, and three more are under construction. And even though they mainly focus on rides, everything seems to be made out of Lego, and they all include large Lego stores. This focus on quality, user experience, and the ecosystem has resulted in corporate success. The Lego Group estimates that in the course of five decades it has produced some 400 billion Lego blocks. Production runs at 1140 bricks per second. According to an article in BusinessWeek, Lego could be considered the world’s no. 1 tire manufacturer; they produce 306 million tiny rubber tires a year. Barefigure.es has excellent graphs on Apple volumes. In 2012, Apple shipped 218M iOS devices, and in January 2013, Apple announced that there have been over 40 billion apps downloaded from their App Store. There you have it. Lego and Apple. Two stories of great execution, with a lot of similarities. Two companies that have changed the world and turned it into a better place. Mostly.